ST. PAUL (May 8, 2013) — The Metropolitan Council today approved light rail for the 13-mile Bottineau Transitway between Minneapolis and Brooklyn Park, taking an important next step toward building out a regional transitway system. 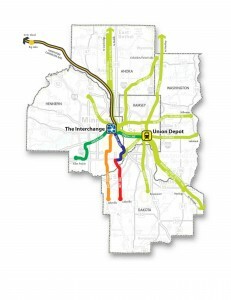 The Council amended the region’s 2030 Transportation Policy Plan (TPP) to include light rail transit (LRT) as the mode of choice for the corridor and selected the locally preferred alternative (LPA) route along West Broadway Avenue in Brooklyn Park, the Burlington Northern Santa Fe Railroad corridor, and Olson Memorial Highway/Trunk Highway 55 (called the B-C-D1 Alignment). The Bottineau LPA was recommended to the Council by the Hennepin County Regional Railroad Authority and the communities in which the corridor is located. With Minneapolis and Brooklyn Park at either end, the corridor passes through the cities of Golden Valley, Robbinsdale and Crystal. Bottineau will be an extension of the Blue (Hiawatha) Line and connect to the Green (Central and Southwest) Line and Northstar Commuter Rail at the Interchange at Target Field Station in Minneapolis. Bottineau LRT is projected to provide approximately 27,000 rides a day by 2030. The project is estimated to cost $1 billion in year 2017 dollars. 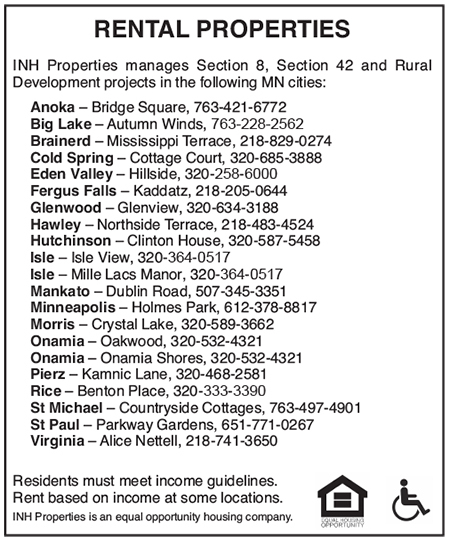 At this time, it is anticipated that funds for capital costs will come from four sources: the Counties Transit Improvement Board’s transit sales tax in the metro area (30 percent), the Hennepin County Regional Railroad Authority (10 percent), the State of Minnesota (10 percent), and the Federal Transit Administration (FTA) (50 percent). Next steps in the Bottineau Transitway project include completing a Draft Environmental Impact Statement, which evaluates potential environmental and other impacts of the project (planned for publication in late 2013), and making application to the FTA to enter the “New Starts” project development process. Along with the Bottineau LPA selection, the Council today also increased the potential reach of Arterial Bus Rapid Transit (BRT) in the region’s plans. BRT service on arterial streets uses technology and facility improvements to provide a faster, more reliable trip on highly traveled corridors without making major changes to the street. The previous TPP identified nine potential Arterial BRT corridors. With the Council action, three new corridors were added to the TPP: Hennepin Avenue, Lake Street, and Penn Avenue North. The Chicago Avenue corridor was also extended to include Fremont and Emerson Avenues North to provide greater transit access to residents and employees of north Minneapolis. The 12 potential Arterial BRT corridors in the TPP are among the region’s most highly traveled transit corridors, carrying 88,000 rides a day. With Arterial BRT improvements, these corridors are projected to carry 163,000 rides a day by 2030. Metro Transit is working to finalize timelines for construction and operation of Arterial BRT corridors.